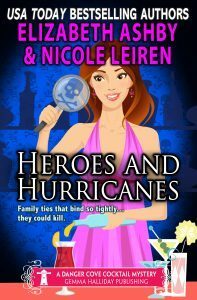 USA Today Best Selling Author, Nicole Leiren, is a fun-loving (and sometimes sassy) contemporary romance author. She has been an avid reader and lover of books from a very young age. Starting with mysteries, her love for reading expanded to include romance and suspense. A Midwest girl, born and raised, she resides in the Western Suburbs of Chicago with her real-world hero and hubby of almost 28 years. Her stories capture the love and laughter in her real world heroes and heroines. To ask Nicole Leiren questions, please sign up. Hi Nicole, Just curious since I was born and raised in Aurora, IL (WEST), where did you grow up? I have met a few other authors from Aurora and nearby. Also, how did you hook up with Gemma and Elizabeth? Nice! I have enjoyed your books. Don’t miss out on a new Cocktail mystery in the exciting Danger Cove Mystery Series. Meet the new bartender in town, Lilly Waters and follow her adventures as she uncovers secrets about her past and finds herself in the middle of a murder investigation. We’d love your help. Let us know what’s wrong with this preview of The Tiger’s Tale by Kelle Z. Riley. We’d love your help. Let us know what’s wrong with this preview of The Complete Ketogenic Diet for Beginners by Amy Ramos. We’d love your help. Let us know what’s wrong with this preview of For the Love of a SEAL by Dixie Lee Brown. We’d love your help. 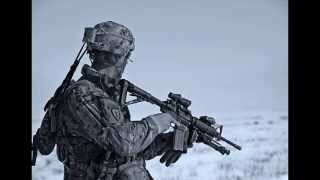 Let us know what’s wrong with this preview of Heart of a SEAL by Dixie Lee Brown.